Hot off the press! New Designs! I have a sneak peek at some new designs I just finished yesterday and today! These designs and all of my current collection of designs will be at The Rocks Markets this weekend, Saturday 8th and Sunday 9th October. I am really looking forward to seeing what people think of these! The Pastel Kimono, handmade from a mint green, cream and gold cotton fabric and a vintage pink and gold trim. The Pastel Kimono. I decided to create this since my other Kimono print is extremely bright, and I realize that this brightness isn't always for everyone! A closeup of the Jade Pleated Skirt with A vintage "Venus" Print. Detail of the vintage button on the Brown, Gold and Black Pleated Skirt. 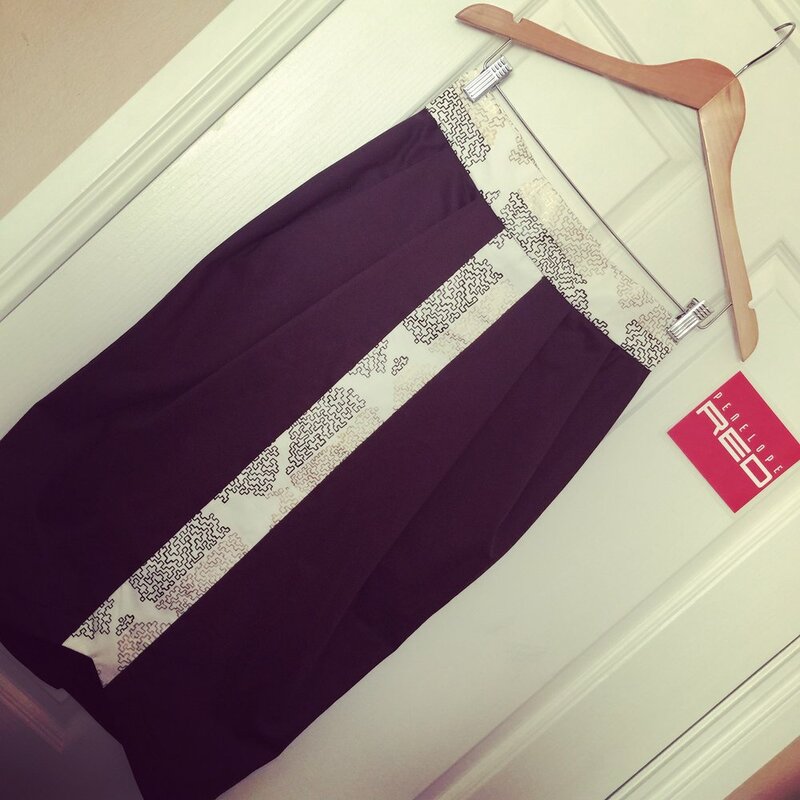 The finished Brown, Gold and Black Pleated Skirt. 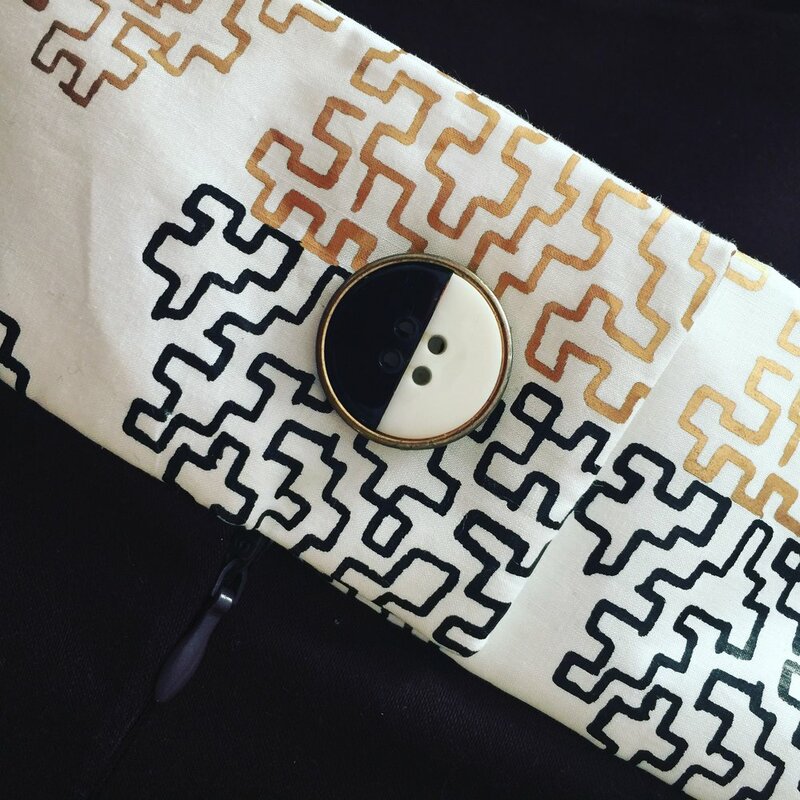 The t bar is made from a vintage print that features a random squiggle in black and gold on a cream background. More styles will be added to the blog, and the shop online during the week. So stay tuned! My latest kimono style has been handmade using an amazing bright and multi Coloured digital print, that I like to call Kaleidoscope! 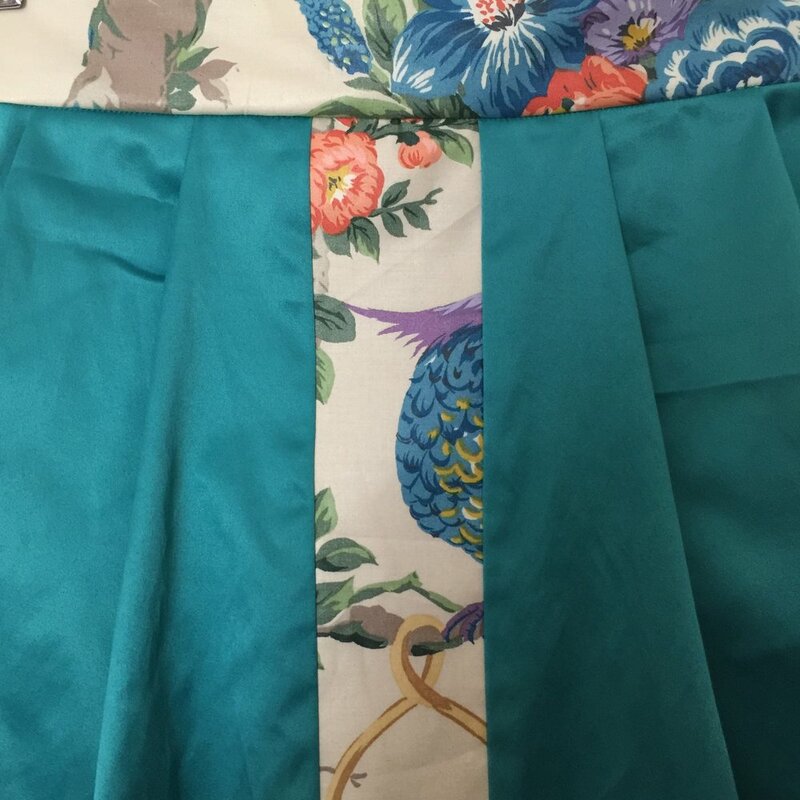 So many colours and since there is a lot of pleating on the back of the kimono, it shows off the print and all the varying shades so beautifully. The back of the Kaleidoscope Kimono, and all of the pleats. This kimono is handmade from a 100% cotton sateen, and is the perfect design to wear in spring and summer for so many occasions. I personally like to wear this style to the beach over the top of my swimmers- it keeps the sun off your skin while still staying cool - since it is a fine fabric and not tight so it lets the breeze flow. The Kaleidoscope Kimono worn with my one of a kind skirt... All handmade by me. I also like to dress the kimono up and wear it with a gorgeous pair of heels, and a hot skirt or pair of pants. When taking photos of the Kaleidoscope Kimono, I tried it with plainer pants like black pants or jeans... Then I tried it with my brighter red pants and my bright as can be skirt. Personally, I much rather it with the brighter items. It seems to be so much more fun! 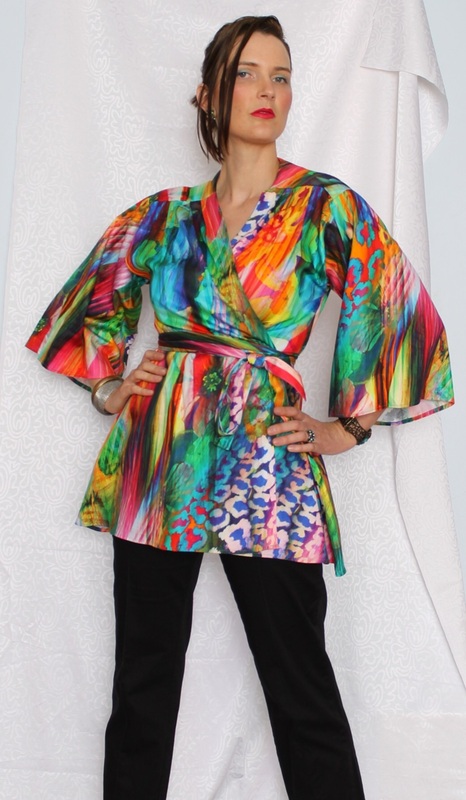 The Bright Kaleidoscope kimono worn here with black pants. My Penelope Red women say one of the best parts about buying designs from me is that they know that not everyone will be walking down the street with the same thing on as them- since my designs are unique and always limited edition and I only make a small amount of each. The beauty about buying handmade fashion! For me I love that what I design and make lasts- it won't go out of fashion the minute the season is over... It won't fall apart the minute you wash it... And I love my choice in fabrics! The Kaleidoscope Kimono worn with the jade pleated skirt.